If you haven’t already had “the talk”, now is definitely the time. No not THAT talk. The money talk. You should know each others current income, debts, and assets. Have an open and honest conversation together without making each other feel terrible about past mistakes. To ensure nothing is accidentally forgotten or there are no errors, I recommend pulling your credit report from AnnualCreditReport.com. You can do this for free every 12 months. 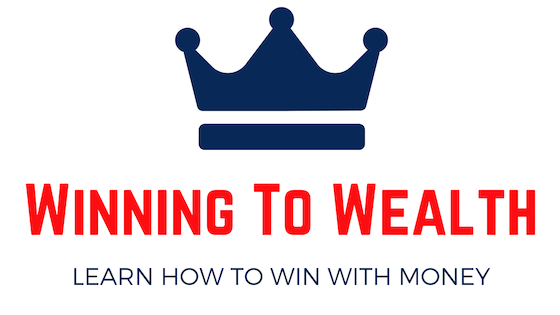 If you are uncomfortable initiating this conversation and would like a professional to walk you through this step, you can sign up for a single coaching session with me here. 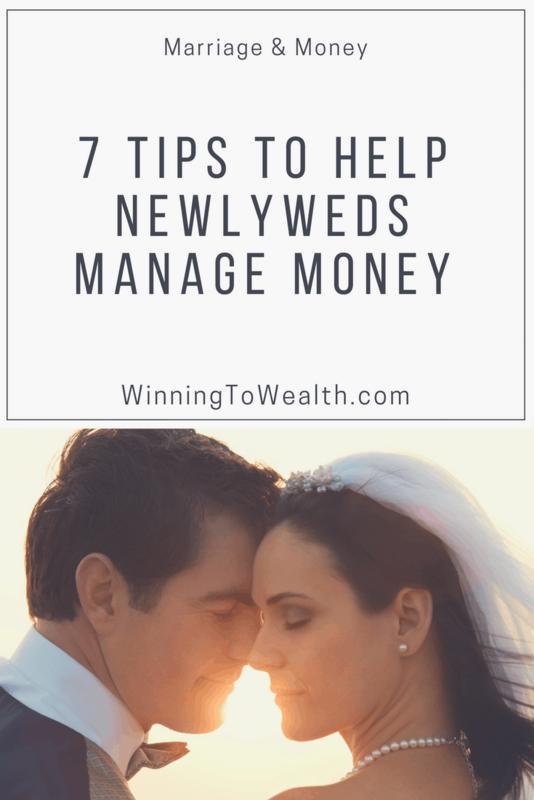 Knowing where you’re headed financially will help you eliminate a lot of money fights in your marriage. Chances are one of you is more of a saver and the other is more of a spender. This isn’t necessarily a bad thing as it can actually create the perfect balance when managed properly. However, without clear goals, this personality difference can cause friction in your marriage. Our goals make it easier for Taylor and I to hold each other accountable. So when I get a little off track, she can gently remind me that my decisions aren’t moving us towards the goals we set and I can do the same for her. It’s very important to define clear financial priorities for your life together whether that be travel, buying a house, being debt-free, retiring early, or even saving up for kids. 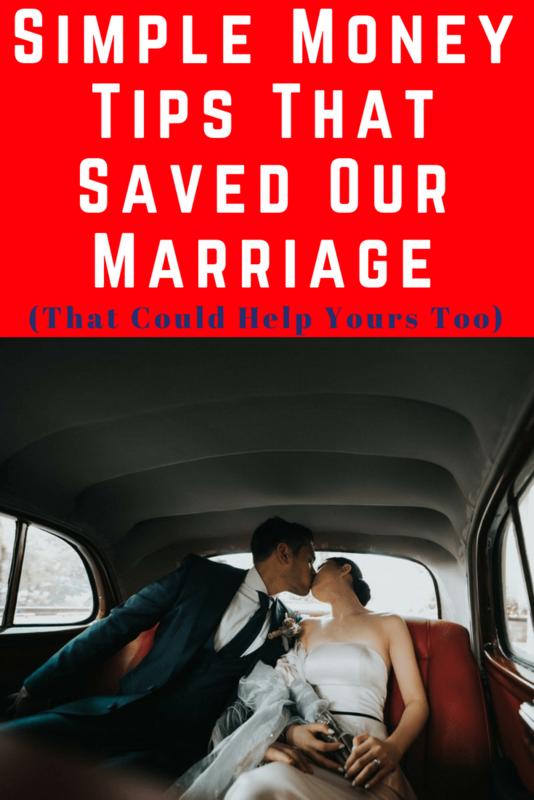 I get that this is a hot debate topic, but, in my opinion, this is a great move for newlyweds. Especially those that have laid everything out and made a plan for the future together like we already discussed. Money touches just about everything in our lives. With that said, when you take the time to combine your finances and create a financial plan together, you’re not only agreeing to combined finances, you’re agreeing to shared goals, hopes, and dreams. Plus always transferring money into each others accounts to pay bills is just one more thing to worry about doing. Why not simplify your life and join checking and savings accounts? One thing we have in our budget is fun money for both of us. We can both spend our individual funds however we like without any push-back from the other. This is totally acceptable, but it’s totally different than keeping everything separate. 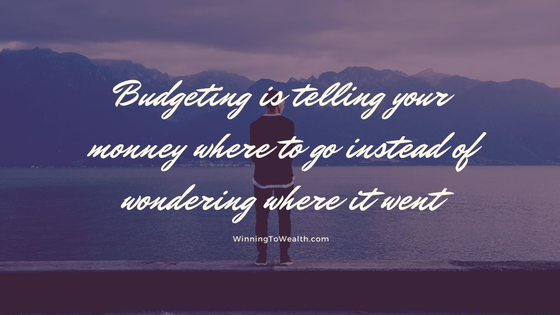 A budget is simply telling your money where to go instead of wondering where it went. Every single month you should sit down as a couple for 20-30 minutes and create a zero-based budget together. A zero-based budget is a type of budget where your income minus your expenses equals zero. That doesn’t mean you spend every single dollar you earn or that your account hits zero every month. It just means that every dollar you earn has an assignment whether that be savings, spending, investing, paying off debt, etc. 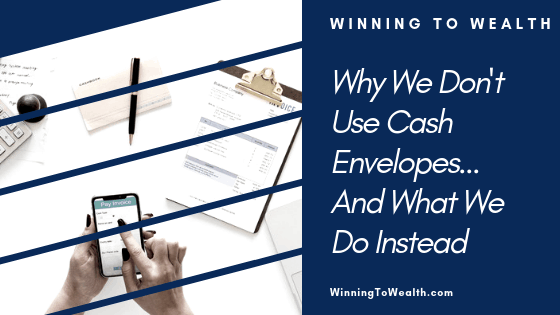 This short little meeting each month will reveal which areas you can tighten up as well as give you an overview of how you’re actually doing financially each month. We use the EveryDollar app and we absolutely love it! Be sure to check it out. No matter how much money you have, you can be one accident away from financial ruin. I recommend working with an independent insurance agent to help you find the best coverage for your new life. You’ll want to get quotes from a few different places to get the best rate. For life insurance, I highly recommend going through Zander Insurance. You can read more about the types of insurance I have and personally recommend here. If one or both of you is bringing debt into the marriage, it’s important to have a plan to eliminate it. Debt robs you of your greatest wealth-building tool- your income. Taking out a car loan for 6 years at age 25 is essentially guaranteeing that you’ll be able to make those payments 6 years from now. The risk of carrying debt lies in the fact that none of us knows what the future holds. I’ve been laid off from one of the largest companies in the world unexpectedly. I’ve had my position eliminated with barely any notice. The risks are there and they are real. 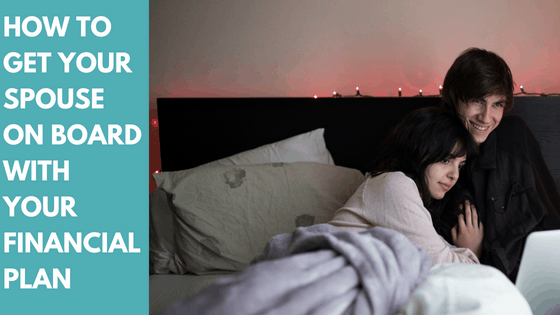 We used the debt snowball method to help us pay off $61,000 in only 16 months, so that’s definitely the method I suggest using. The debt snowball is simply listing your debts in order of smallest to largest remaining balance then using every dollar you have to pay them off in that order. An unfortunate fact of life is that crappy stuff sometimes happens. Right after I lost my job, Taylor had a Lupus flare and missed about a month of work. I can speak from experience when I say that having a cushion in the bank to help you deal with these unfortunate circumstances makes these things a little more bearable. If you are working to pay off non-mortgage debt, a good rule of thumb is to have 1 month of expenses saved. Once you’re out of debt, beef it up to 6-9 months of expenses. I personally have our 6 month emergency fund in a Capital One 360 account because it pays the most interest on certain balances. You can sign up for your own account and earn a little extra cash through my referral code here. Now that you’ve been super responsible and are headed in the right direction, have a little fun with your money. Don’t make your life all about spreadsheets and crunching numbers. Have a little fun with your spouse. Go on trips. 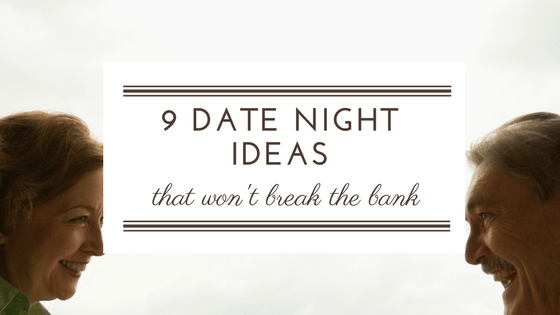 Take random dates to the movies or whatever else you enjoy as a couple. Maybe even pick up a hobby that’s new to both of you and see how it goes. It’ll only solidify the fact that you’re making good decisions and moving in the right direction financially. 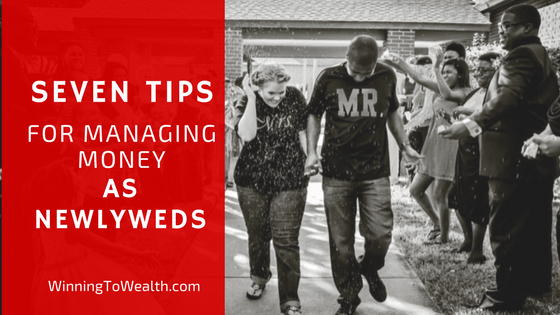 Managing money as a couple is all about constant communication and understanding each others perspectives. This is made easier by unifying around common goals and having a plan specific to each month. 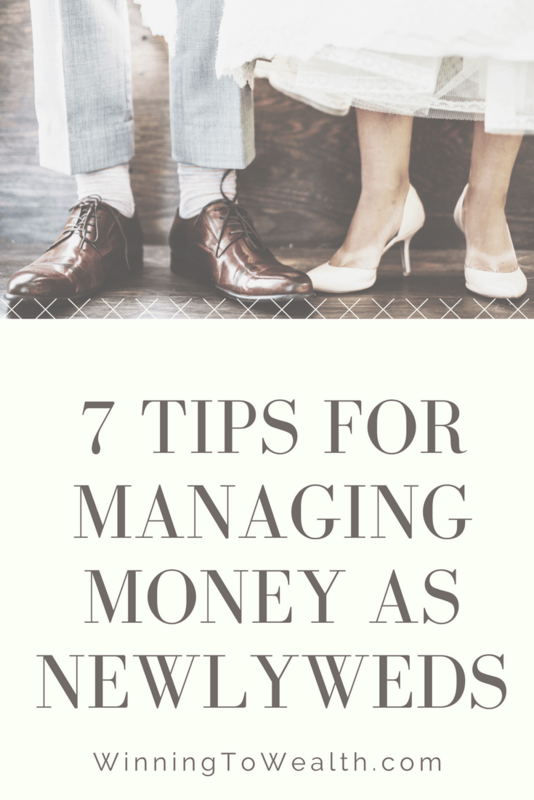 Let me know what some of your tips to managing money as newlyweds are.